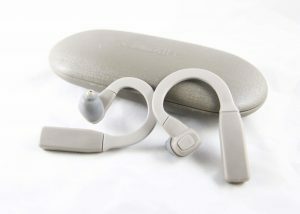 SoundOffSleep Snoring Headphones Review - Do these work? Sleeping beside a snorer can cause significant disruption to your sleeping pattern, as you are regularly woken up during the night, and may have difficulty falling asleep. This can be frustrating and exhausting and can put a strain on both your relationship and your health. Consistently getting poor quality sleep affects your life in several ways, leaving you groggy in the daytime, lacking in concentration, irritable, forgetful, and moody. In this situation, it is necessary to find ways to sleep through your partner’s snoring for the sake of your health. Earplugs are typically the first option to try, but finding effective earplugs can be tricky. A colleague recommended the SoundOff earplugs to me to help solve my sleeping troubles. The product has many excellent reviews, and the company’s reputation for customer service is above reproach. The company claims the SoundOff earplugs completely and effectively block out any sounds from the noisy sleepers in your household, and are comfortable enough to wear throughout the night. SoundOff earplugs are ergonomically designed to fit snugly inside your ear, where they block the ear canal and prevent bone conduction. While conventional earplugs only block air conduction of noise, SoundOff earplugs prevent sounds from reaching your cochlea (or inner ear) by preventing both the air and bone conduction responsible for the amplification of sound. SoundOff earplugs are also unique in that they utilize patented SnoreMasking technology, making them far more effective than earplugs that simply try to block out the sound of snoring. Pink noise, the intuitive masking technology of SoundOff, is superior to the traditional White Noise, which must be played at loud volumes to reach the necessary level to block the sound of snoring. Pink noise is a far more soothing tone and is replicated in nature by sounds such as babbling brooks, rain, and wind. 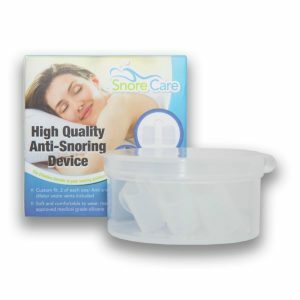 This makes it a far more suitable technology for masking the sound of snoring as you sleep and is scientifically proven to relax and soothe you to sleep. This has the effect of muting any noise in your surrounding area while fitting comfortably and unobtrusively inside your ear canal. The SoundOff earplugs are lightweight and intuitively designed to fit the natural curves of your inner ear, making them comfortable to wear while sleeping. The Pink noise and sound-cancelling technology are designed to help you drift peacefully off to sleep, and stay asleep throughout the night, despite any noises from others nearby. This should allow for a more complete and restorative night’s rest, leaving you healthier, more focused, and more energized in the daytime. With hundreds of glowing testimonials from satisfied customers, I was eager to give the SoundOff earplugs a try. The SoundOff earplugs are on sale for $99.95, and I was pleased to note the company offers a 30-day risk-free guarantee, which made me more confident about my purchase. I ordered a set online and only waited a few days for their arrival. To fully test the effectiveness of the SoundOff earplugs, I decided to conduct an experiment at home, whereby I used different volume settings of Pink noise and varied the distances from my snoring wife. The earplugs have six different volume settings, which I tried out as soon as the product arrived. I was initially surprised by how loud they were, even on the lowest setting, but I found I quickly got used to the static sound of the Pink noise. I was pleased to find they were just as comfortable to wear as the reviews suggest, with no hard edges pressing against the insides or the backs of my ears. The earplugs did not cause significant discomfort even when sleeping on my side, which is my preferred position, so I had no trouble keeping them in place throughout the night. The long SoundOff earplugs are wireless and have a long battery life (10-20 hours, depending on the volume you set them at). They are also rechargeable, so even if you use the highest setting, you can simply plug them in when you wake up, so they’ll be fully charged by the time you go to bed. I found the Pink noise highly effective at masking the sound of my spouse’s snoring, and (once I’d gotten used to it) I found the sound to be quite soothing. Finding the perfect volume setting took some trial and error, and will probably vary from user to user depending on the volume of the snoring you are trying to block out, and how far you sleep from the snorer. Those living with a snorer who sleeps in a different room will probably find the lowest settings to be perfectly adequate, but I found the first setting did little to muffle the snoring of my wife sleeping next to me. After a few nights, I determined volume level 3 to be sufficient to block out any sound, but also quiet enough that the Pink noise wasn’t uncomfortably loud. Once I had decided on my ideal volume setting, the product functioned very well. At volume setting 3 snoring was barely perceptible. What’s more, the intuitive design of these earplugs made them very comfortable to wear, allowing me to sleep soundly throughout the night. I woke the next morning feeling replenished and more energetic than I have in a long time, and I will certainly continue using them! 1 Snoring slightly muted. Snoring bothersome. Snoring bothersome. 2 Snoring almost imperceptible. Snoring slightly muted. Snoring bothersome. 3 No snoring. Snoring almost imperceptible. Snoring almost imperceptible. 4 No snoring. No snoring. Snoring almost imperceptible. 5 No snoring. No snoring. No snoring. Effectiveness – The SoundOff earplugs work incredibly well when it comes to blocking out the snoring of people sleeping nearby. These earplugs allow you to fall asleep quickly and peacefully and prevent you from being woken in the night. This means you can achieve a full and unbroken night’s rest, despite any nearby noises. Comfort – With a clever design and lightweight material, these earplugs are very comfortable to wear throughout the night, and won’t disrupt your rest or prevent you from getting to sleep. Convenience – Lightweight and wireless, the SoundOff earplugs are easy to store and transport, making them very travel-friendly. The fact they are rechargeable also eliminates the need for batteries. 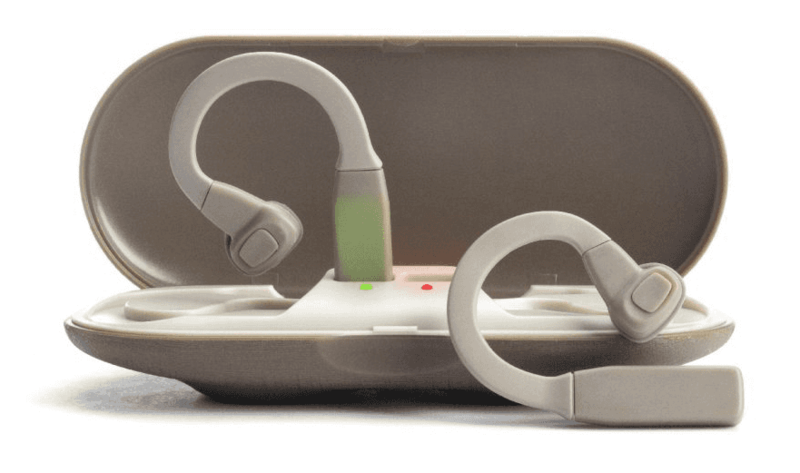 Ingenuity – These earplugs are very intuitively designed, fitting snugly in the ear canal to prevent air conduction and bone conduction. This effectively mutes noise by preventing any amplification of sound in the inner ear, and the Pink noise technology employed by these earplugs is scientifically proven to promote relaxation. Adjustability – With six different volume settings, it is easy to adjust these earplugs to meet your needs, for a tailored (and therefore more effective) experience. Testimonials – SoundOff earplugs have proved highly effective for the vast majority of their users, and all report a better and more restful night’s sleep when using this device. Guarantee – 30-day money back guarantee if you are unsatisfied with the product. Loudness – I found volume setting 3 to be sufficient for achieving a peaceful sleep, but this may not be the case for those sleeping in the same room as a particularly heavy snorer. However, I found the louder settings to be quite uncomfortable – levels 5 and 6 were deafening, and I wouldn’t have been able to sleep. 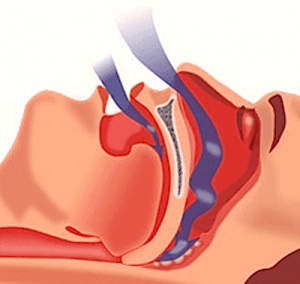 Trial and Error – Everyone’s situation is different, depending on who the snorer in their household is, and how far away from you the person is. There is certainly a need for a little trial and error in deciding which setting suits you best, but you may find it useful to refer to the results of my own experiment as guidance. The SoundOff earplugs were incredibly effective in helping me to fall asleep quickly, and stay asleep throughout the night, despite the level of snoring in my room. They delivered on every claim they made, were comfortable to wear, and the perfect solution to my night time troubles. If you find the level of snoring in your household is disrupting your sleeping pattern or preventing you from sleeping at all, these earplugs can be the ideal way to put an end to your problems. After a few nights of using the SoundOff earplugs, I found I was falling asleep more quickly, and waking in the morning feeling replenished, rejuvenated, and in far better spirits than I have for a long time!